Feb. 1996 ABS Enterprise Ltd. was founded with a capital of JPY 3,000,000. May 1996 Main Office was opened in 9-14,Temmacho,Aoi-ku,Shizuoka-shi. Jun. 1997 The company moved its headquarters to 9-14,Temmacho,Aoi-ku,Shizuoka-shi. Jun. 1997 ABS Enterprise Ltd. was changed to ABS Co., Ltd. with a capital of JPY 10,000,000. Dec. 2003 The product planning and development division was set up. Dec. 2004 We received a certification of Law on Supporting Business Innovation of Small and Medium Enterprises from Shizuoka Prefecture. May. 2007 The company moved its headquarters to 1-1-14,Gofukucho,Aoi-ku,Shizuoka-shi. May 2009 We got a license for manufacuturing and distribution of cosmetics. Oct. 2011 Tokyo branch office was opened. May 2012 The company moved its headquarters to the current location. Feb. 2013 Osaka branch Office was opened. Apr. 2014 ''ABS ECO Division'' was set up. Jul. 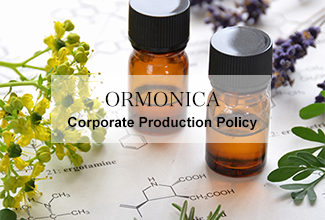 2014 Organic cosmetics brand ''ORMONICA'' was released by ABS ECO Division. May 2016 The company moved its Tokyo branch to Kandakajicho, Chiyoda-ku.